KISS-LoRa: A gadget from the Electronic and Automation fair (WOT) in 2017. It has a temperature, humidity, light and acceleration sensor on board. LoRa Shield: A LoRa shield designed for the Arduino Uno. LoRa Dock Gateway: Gateway to the internet. Receiving LoRa and transmit the information to The Things Network and in my case to the Cayenne dashboard to show the sensors output. I have put the LoRa gateway in a small enclosure, including an OLED display. Rpi LoRa Network Application Server: Special AP software. Not in service at the moment. 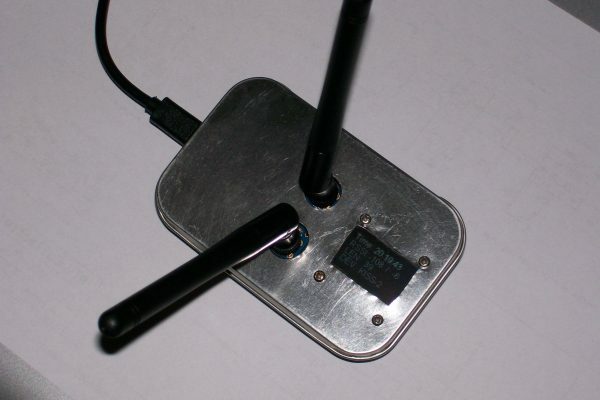 My LoRa experiments started with registering the board on The Things Network, with Activation Method ABP, to get an unique Device EUI and Application EUI. That results in unique Network Sessions key and App Session Key. After that I connected the KISS-LoRa board to the KPN LoRa network. It’s possible to get a test account for 10 weeks. To see the results of the sensors I used Octoblu, but that company stops its activity begin 2018. At that time I switched over to Cayenne.